The application of advanced genetic techniques has recently begun to unravel the genetic basis for familial primary aldosteronism type 2 (FH-II). Whole-exome sequencing in a large family with FH-II revealed a shared rare damaging heterozygous variant in CLCN2 (chr.3: g.184075850C>T, p.Arg172Gln) in three severely affected members. The gene encodes a chloride channel, ClC-2. 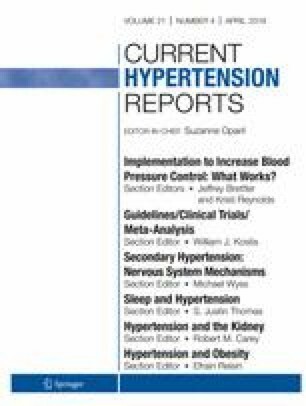 A cohort of 80 unrelated individuals diagnosed with early-onset primary aldosteronism was also examined for CLCN2 mutations finding three further occurrences of p.Arg172Gln mutations and four single cases of other potentially damaging heterozygous mutations for an overall prevalence of 9.9%. A concurrent report also found a different CLCN2 mutation (p.Gly24Asp) in a single severely affected patient from a cohort of 12 with early-onset PA for a prevalence of 8.3%. Cases of primary aldosteronism associated with CLCN2 mutations appear to be bilateral and respond well to medical treatment. In the adrenal, ClC-2 has been demonstrated to localize predominantly to the zona glomerulosa (ZG), and functional analysis suggests that mutations in ClC-2 predispose ZG cells to depolarization, thus leading to calcium influx via activation of voltage-gated calcium channels and increased aldosterone production. Germline CLCN2 mutations appear to account for a substantial proportion of early-onset primary aldosteronism cases, and genetic testing for mutations in this gene should be considered in appropriate cases. UIS is supported by grants from the Deutsche Forschungsgemeinschaft (SCHO 1386/2-1) and the Stiftung Charité (BIH Johanna Quandt Professorship). GS is supported by a grant from the Deutsche Forschungsgemeinschaft (STO 1260/1-1). AW is supported by a scholarship from the Commonwealth Government of Australia. Heinrich Heine University Düsseldorf has filed a patent application: EP17209972, Diagnosis and Therapy of Primary Aldosteronism, with UIS as an inventor. Other authors declare no conflicts of interest relevant to this manuscript. •• Scholl UI, Stolting G, Nelson-Williams C, Vichot AA, Choi M, Loring E, et al. Recurrent gain of function mutation in calcium channel CACNA1H causes early-onset hypertension with primary aldosteronism. elife. 2015;4. https://doi.org/10.7554/eLife.06315 This paper first reported genomic CACNA1H mutations as the basis of early onset (including familial) PA (FH-IV).